Hi! As my title suggests, I'll be entering several challenges today. I cut the tag at 3" (double thickness) from the Cricut Picturesque cartridge. The grad cap came from the Cricut Create a Friend cartridge (I set the cap and gown at 4" and was able to stop the cut because the cap was cut first). The yellow stars were cut at 1/2" from the George and Basic Shapes cartridge. I just rolled a piece of paper and made the scroll. I hand-made the rosette. You can't see it here but I fringed the top and bottom of the blue fabric with the big star on it. The challenge at Shopping Our Stash is to include fabric and I've had this piece around for ages. The challenge at Bitten by the Bug 2 is Graduation. The challenge at Die Cuttin' Divas is tags. I started with the fabric and designed the rest so I could enter all three. A happy side comment--I won the Cricut Air machine prize in the Fantabulous Cricut #300 Blog Hop. I am thrilled!!! Be sure to visit each of these blogs to see what everyone has done. It takes a lot of work and coordinating to keep these challenges going and they need to be appreciated. I love your tag--it looks so cheerful and festive and will be perfect for a grad gift. Congrats on winning the Cricut and thanks for sharing at Bitten by the Bug 2! Wow, congrats on winning the cricut, that's awesome! Your tag is also awesome! Love the colours. Thanks for joining us at Die Cuttin' Divas this week! Congrats on winning the Cricut machine. How Exciting! I love the pretty colors of your tag. The rosette and the hat really make it pop. Thanks for joining us at BBTB2. Congrats on winning the Cricut machine! Great looking tag! Love the colors! 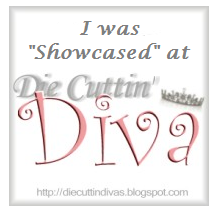 Thanks for sharing with us at Die Cuttin' Divas! Hey, I just stopped on to say THANKS for sharing at Shopping Our Stash this week, and yes, I see the fringed fabric, great touch! CONGRATS on your big win!!! Fun fun fun!!! Awesome tag, love the colors and I too can see the fringed edge of that beautiful fabric panel. And what an awesome prize you won, congratulations!!!!! Thank you for playing along with us at SHOPPING OUR STASH, I hope you play again next time. PS. 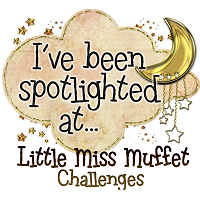 Thank you also for the shout out about the challenge blogs, I'm a member of 3 and it's fun but it also takes a bit of time and love for this craft from all the members to keep them going. Love this tag! The fabric you used is awesome, and congrats on scoring that Cricut machine! Thanks for joining us at Shopping Our Stash! Cute! Thanks for sharing at Bitten by the Bug 2. Fantastic tag and a great use of your fabric! Thanks so much for joining the SHOPPING OUR STASH crew for our "Project Runway" challenge this week! Wow! Congrats on your fabulous win! Awesome tag for graduation. Thanks for sharing at Die Cuttin' Diva this week. You won, how awesome is that!! congratulations - now you will be crafting nonstop. Your card is spectacular - so pretty. thanks for submitting it to our BBTB2 challenge this week.